When I look at my life I think I'm pretty lucky, I work hard I'm achieving my degree, I'm not starving or hurting, I have enough money - yes, even as a student - to live, a loving boyfriend and some supportive friends surrounding all that. When I was younger Mum always says everything I have, I've always worked hard for and I didn't entirely realise what this meant until I upped and left the nest a few years ago. 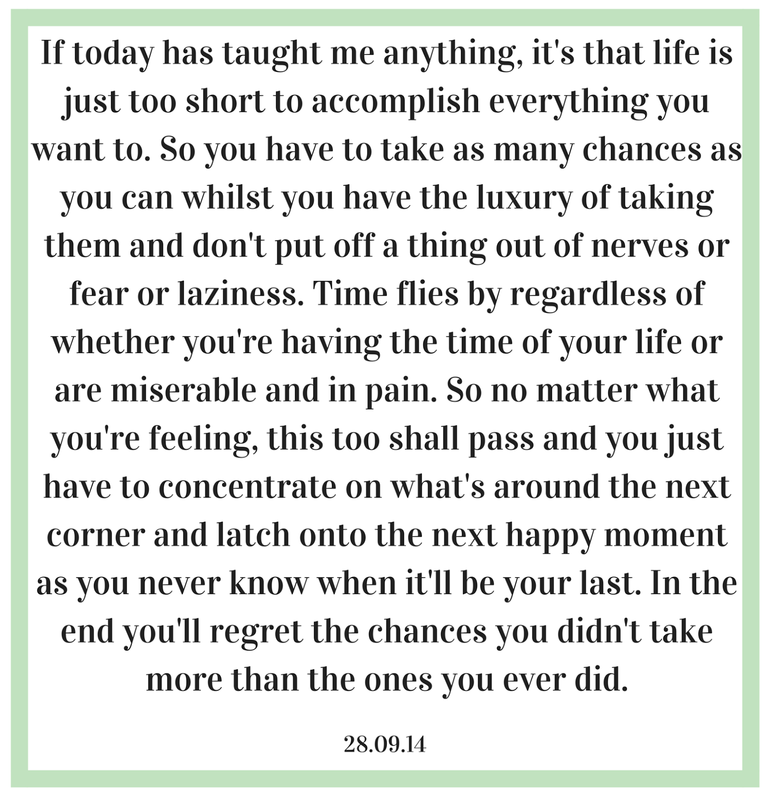 Each and every opportunity I've had whether it be academic, social, blog or work related I have put my heart and soul into to get me where I am today. 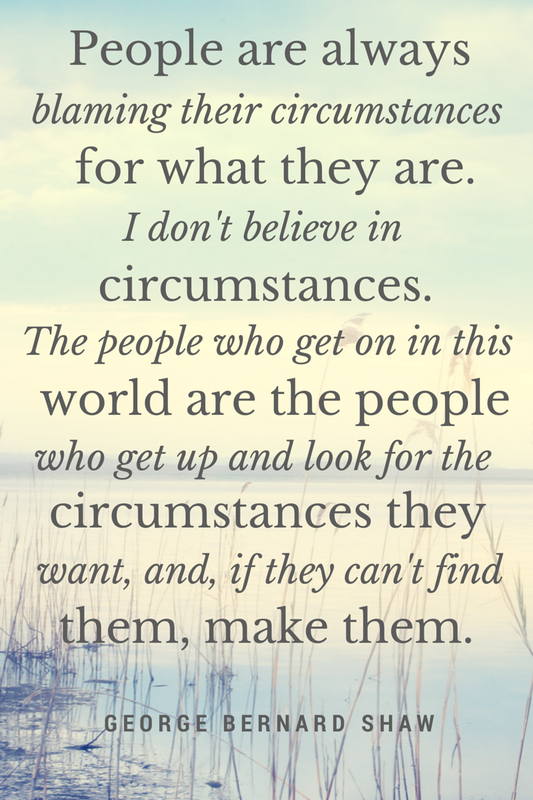 I made my circumstances through hard work and more so, did it with a smile on my face. How have you changed yours? As some of you may already know, I spent my Thursday night abusing my last year of student discount at the Meadowhall Student Lock In as part of the #MyUNiDAYSHaul campaign. It was manic to say the least; with 18,000 students expected to rush through it's doors that very night I prepared for battle with one of my favourite monochrome ensembles and some comfy shoes. After arriving I was pinballed between the management suite and various other locations sorting out the itinerary. I'll admit to a small diva moment when I - and my plus one, flatmate and generally lovely friend Hannah - got to skip the rapidly growing queues at the doors in order to get stamped for entry so we could jet off for filming. Though I don't imagine I'll be able to fully commit to the diva lifestyle after feeling just a little bit terrible as we side stepped the not-so-smiling line up and headed off to find the lovely UNiDAYS team who were incredibly nice and welcoming! Also a HUGE shout out to the filming team, photographer and Paperchase for letting me borrow some of their goodies to film with! At one point I think I had about four or five different cameras on me including the videographer, photographer, camera phones and my own (for vlog purpose, naturally!). What was even weirder was the fact that is didn't feel weird, I was just that girl talking to her camera in her room - that happened to just be a little larger and have a few more smiling faces in it - and I wasn't really focussing on the hustle and bustle of people all around. Maybe there's hope for a future in presenting yet! Then the clock chimed six and it was up to the small matter of navigating the whooping store to Urban Outfitters, Boots, New Look, Primark, Debenhams, H&M, River Island and Topshop. Ah Topshop, after desperately wanting to swatch their newly released foundation and concealer range we headed there to find the biggest queue I have ever seen in my entire life - I think it' safe to say never again will I grumble at the sight of the Saturday morning rush - though I did manage to snag myself one of their Topshop magazines with the oh-so-flawless Cara on the cover to act as some much needed A/W fashion inspo! 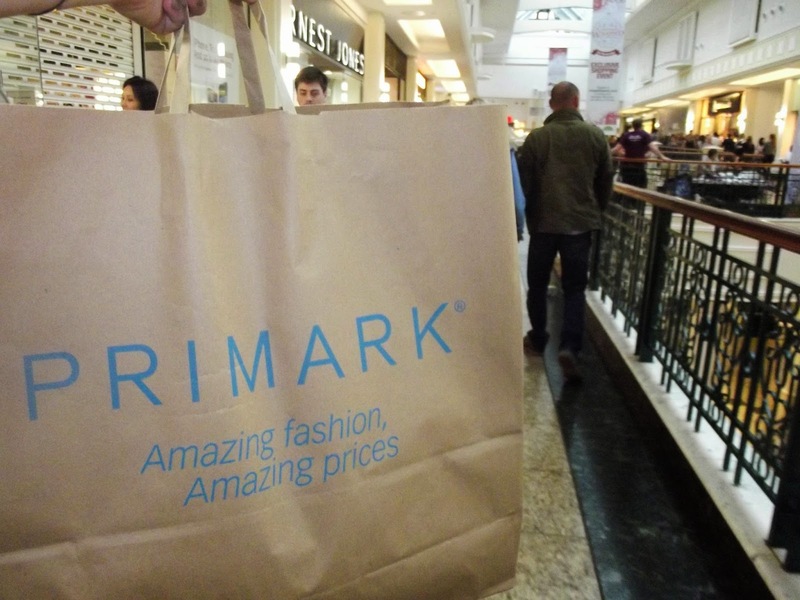 Naturally, we had to stop off at Primark and left with a jumbo sized bag. Even though there weren't any special discounts - c'mon though, how much cheaper can this place get?! 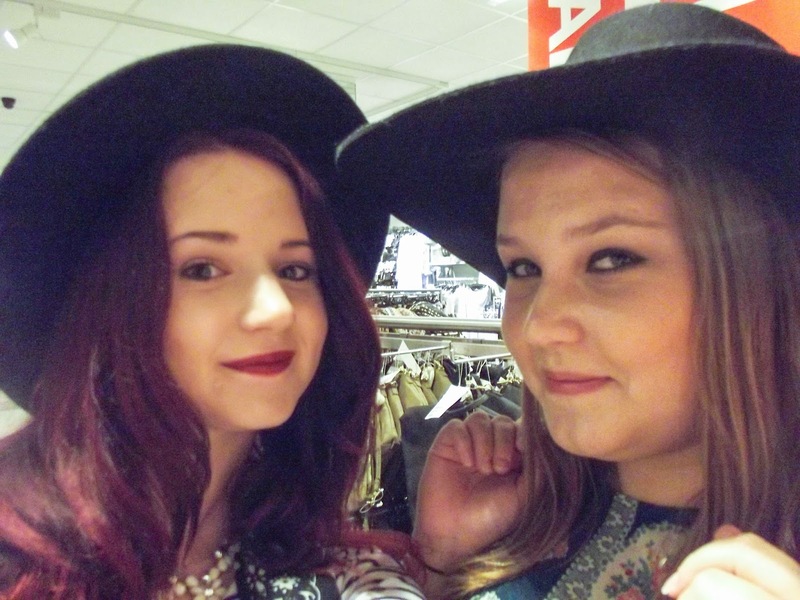 - Primark acted as a surprising safe haven to sooth our frazzled brains and a great place to start picking up some outfit ideas. At the moment I'm going through such a monochrome phase - can you tell? - which made finding clothes that took my fancy more than a little challenging. Thankfully Primark had my back with a luscious houndstooth woven scarf, long black duster coat and Game of Thrones t-shirt to quell the fangirl inside. 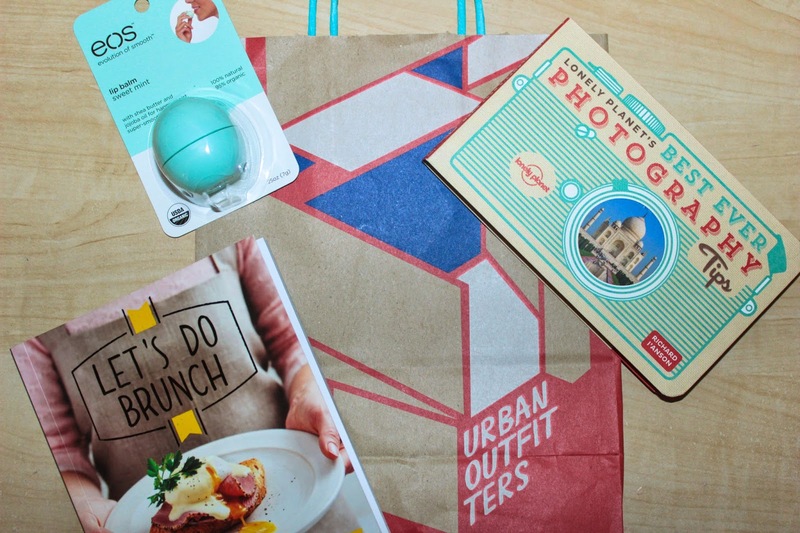 For quirky coffee table reads and homeware items I really don't think you can beat Urban Outfitters, and boy did they deliver tonight with a nice little 20% discount courtesy of UNiDAYS. I picked up a copy of Lonely Planet's Best Ever Photography Tips which I started reading on the way home and ended up thoroughly hooked on the captivating images printed within, before my train even pulled into the station. 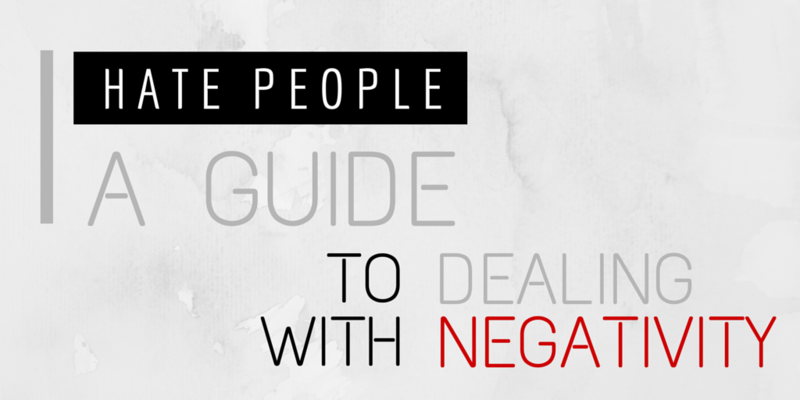 It also has some great tips too that are applicable whether you shoot on anything from a mobile phone to a DSLR. From the same display, another little book caught my eye: Good Housekeeping's Let's Do Brunch which is part of a much larger bite-size cookbook range that I can't wait to buy more of, it's already inspired my food shop and I just can't wait to try my hand at one of my all time favourite treats: Cinammon Whirls or Cheesy Spinach Muffins - yum! Last but by no means least I stumbled across the EOS Lipbalms which I have wanted for oh. so. long. and managed to snag myself a Raspberry flavoured one. It was only when I headed to the till to pay I spied the glorious mint blue packaging and knew I just had to have the Mint. Two days later and I've barely put the thing down. I can really understand the cult following behind these little beauties! 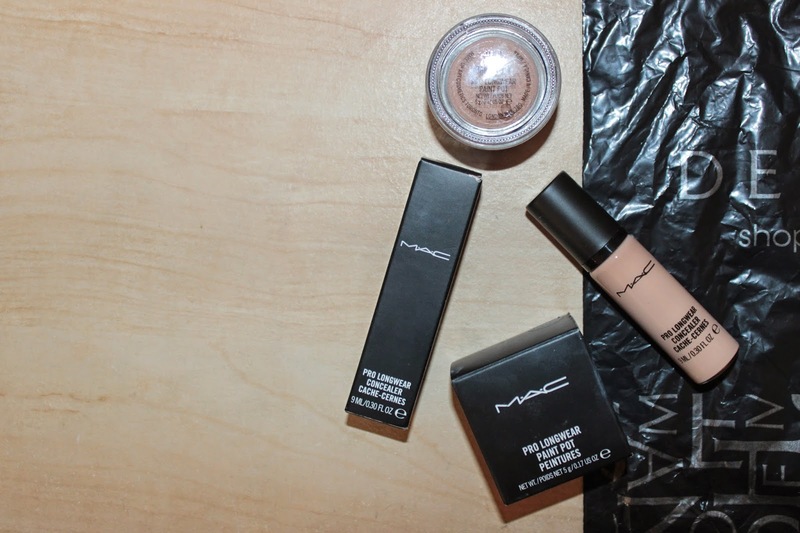 What is a trip to Meadowhall or Debenhams without a trip to MAC? Which was heaving so thanks to the lifesaver counter girl who snatched up our products and was sporting some killer eye makeup to boot (don't worry, I got the scoop and will be attempting to recreate the look shortly!). When it comes to high end makeup I prefer to buy what I like to call 'the essentials' - possibly to mask that post-haul guilt. On my shopping list today was their MAC Pro Longwear Concealer in NW20 as mine at home had just started to sputter and spurt it's last. Hands down this product deserves a holy grail status and I can't see me ever not repurchasing it! I also wanted to try their MAC Painterly Paint Pot as beauty bloggers, vloggers and gurus have seemed to rave about it since the dawn of Youtube. 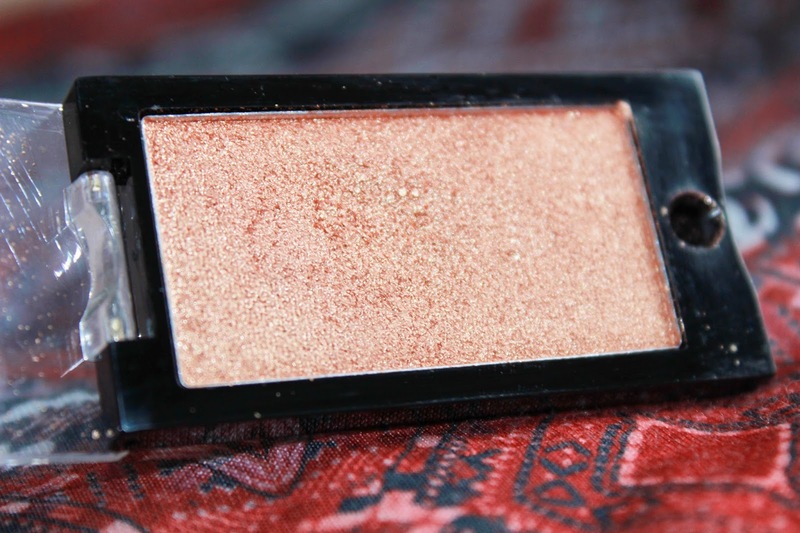 I use it as a primer by swiping a little across my lid prior to applying shadow or by itself for a natural look as it corrects and smooths areas of veins or dark patches leaving you with an 'I woke up like this' finish. The last stop on our tour was New Look and by this time our feet were aching and we were dragging ourselves from store to store hoping that somewhere the train home would be calling but glad that we had time for the one last stop. I picked up the most darling monochrome playsuit and sweet little jewellery tray which you can check out in my haul video below! Thanks for an inspirational night UNiDAYS and Meadowhall - I imagine I'll be seeing you all again soon once the student loan comes in! And don't forget to enter their #MyUNiDAYSHaul Competition to be in with a chance of winning £250 by snapping a picture of your latest your haul. 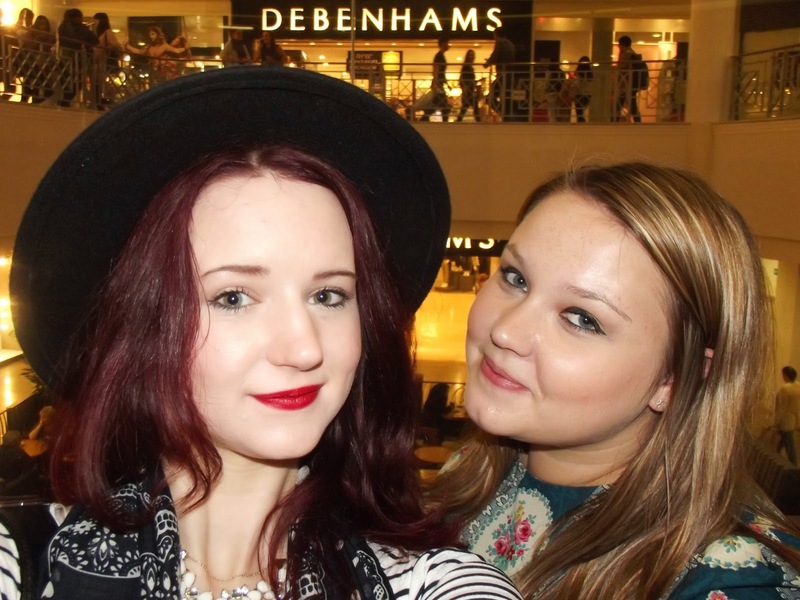 Did you attend the #MHStudentShop? Let me know in the comments below! As you can tell, I'm pretty much a magpie when it comes to all that glitters but storing necklaces galore becomes a little problematic, especially if you have zero DIY experience and are living in cramped halls. My best bit of advice is to utilise the dead space by creating a beautiful jewellery door hanger that's not only decorative but functional too. The best bit is anyone can do it! Mark the wood at even intervals and cut off the excess. Better yet mark holes according to the length or buy some pre-cut wood from your local DIY store. Secure into place using the screw thread. Depending on how you're fastening it to the wall - whether you're lucky enough to have a handy parent with a few spare nails - if not, not to fret, all you need is an over-the-door hanger that you can buy for a few pounds at a local homeware shop (usually used for storing dressing gowns!) and some ribbon. If you loop it around both ends as well as the centre to for an 'M' shape (see above) it supports the wood perfectly and requires exactly zero DIY knowledge. 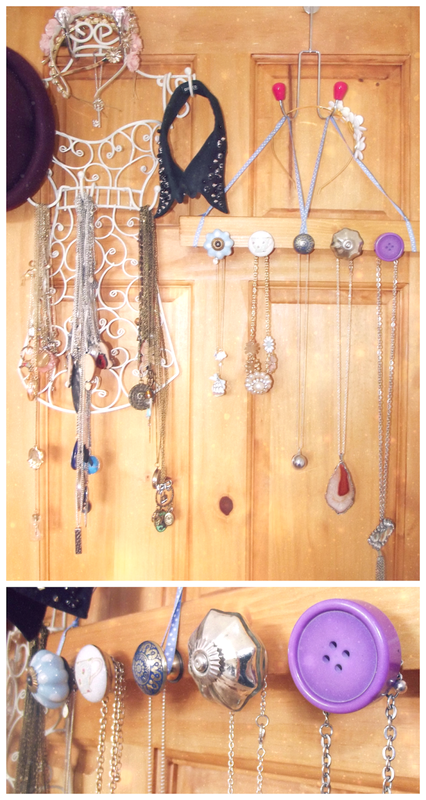 And there you have it, your very own DIY Vintage Inspired Jewellery Hanger! Today is a day for getting errands done, though there's nothing to say I can't do this in some kind of style; my OOTD is 60s inspired and extremely comfy featuring my favourite pair of disco pants and my top knot is messy and makeup minimal, bar a small stroke of kohl liner. Now back to work. I'm just going to come right out and admit it. This evening I have been in one heck of a foul mood thanks to trying - and failing - to juggle my 1001 jobs whilst packing, planning, inevitably losing my railcard, re-packing, waiting, re-caffeinating and finally drifting off to sleep more stressed and wired than ever. We all know how it is. We're having a bad day and suddenly we enter into one of those - as I described it over a lengthy, uncalled for and ranty skype call to my boyfriend - an "I hate people" black cloud. Which is really a very eloquent cry for help:"I'm having a bad day, please lock me up with a nice cup of tea and a bubble bath so I don't do any more damage to myself or those around me". For me the final straw is usually - and this is rather a sad point - people who walk too slowly. I just can't. I appreciate that some people walk slower than others with kids and shopping bags dragging them down but no, here I'm talking about the regular Joe the Mr. "I'm just going to walk slow today, like real slow, and negate to check behind me for at least twenty minutes" that you inevitably get stuck behind at the worst possible time. Also people who force you to choke on their cigarettes at the traffic lights or who don't reply to my e-mails at 16:59 when their office shurts at 17:00 - what can I say, I'm a very reasonable person at heart [insert sarcasm here]. 1) Are you being reasonable? Like really though? Although it may seem like the ultimate insult that you are not getting the up-most attention from that random passerby that happens to be crawling along at a snails pace and it may seem entirely reasonable to wish that the ground would open up and swallow them whole, leaving you to skip along your merry and well-paced way. But if that actually happened you wouldn't be feeling so smug with yourself. Cut them some slack. I'm not going to lie, I don't think there's a person on this planet who appreciates a lengthy e-mail at 16:59 - unless of course it's a belated Hogwarts acceptance letter that goes to great lengths explaining why exactly this was not delivered by owl. But it's only human to prioritise the imminent train home over some random bloggers e-mails; even if they are going to spend the next sixteen hours or so on tenterhooks, it only adds to the excitement of it all (right?). 4) Could you maybe be at fault here just a teensy bit? Rule #1 is to never admit defeat, but maybe we could slide to a small chink in the armour? Could you, Little Miss Perfect, be at fault for a change? Is the reason that you're annoyed at Mr Slow Walker over there perhaps because you decided to run and grab that new handbag that you saw in your lunchbreak, from the store that you evidently do not have enough time to visit? No? Of course not. I know the summer is almost over, but these baked shadows: Topshop's Chameleon Glow in Shuffle the Cards [top left, bottom right] and Elf's Pixie Baked Eyeshadow [top right, bottom left] make the perfect last hurrah for the summer eye or highlight for the inner corner. 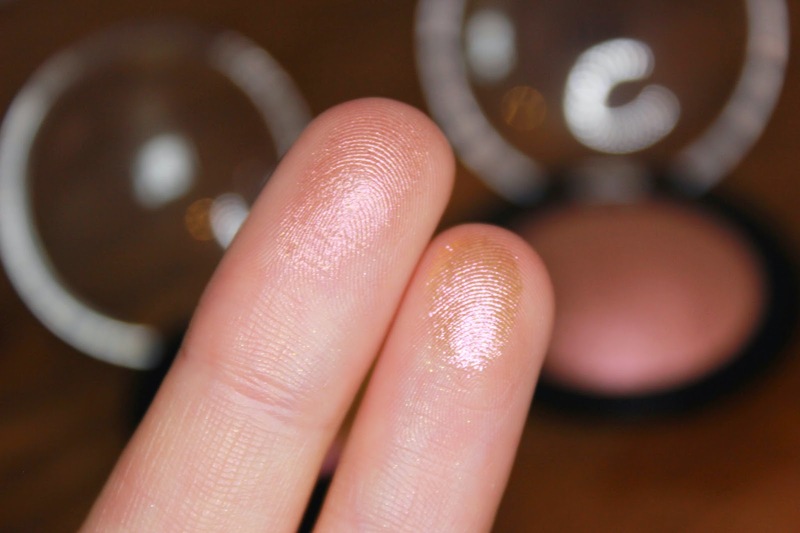 Though less than silky in texture and vastly more pigmented when wet, I find the finish of these two amazingly pretty when used straight from the pan [above]. 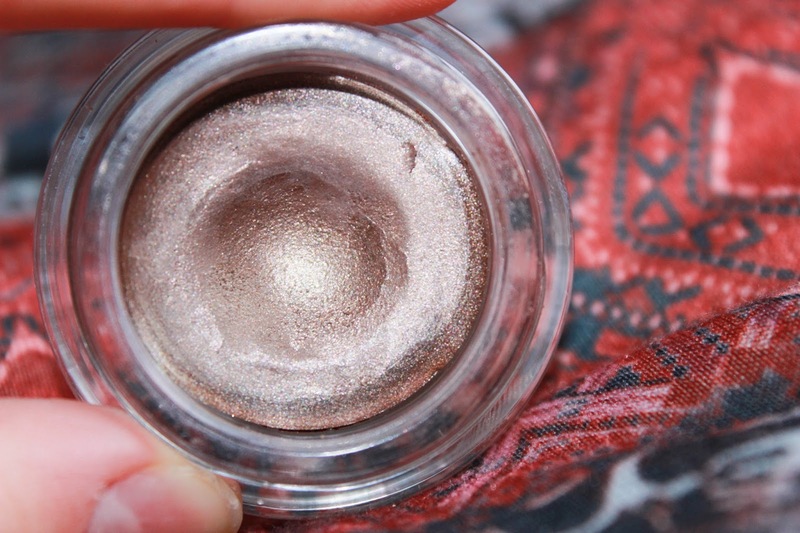 Especially with the duotone pink/gold 'Chameleon' effect that Topshop launched as part of their summer festival collection. But I think, they'd be much more suited to a romantic eye, paired with a shimmery blush on the apples of the cheeks and a light, dusky pink lip as a sweet and effortless look for a first date. 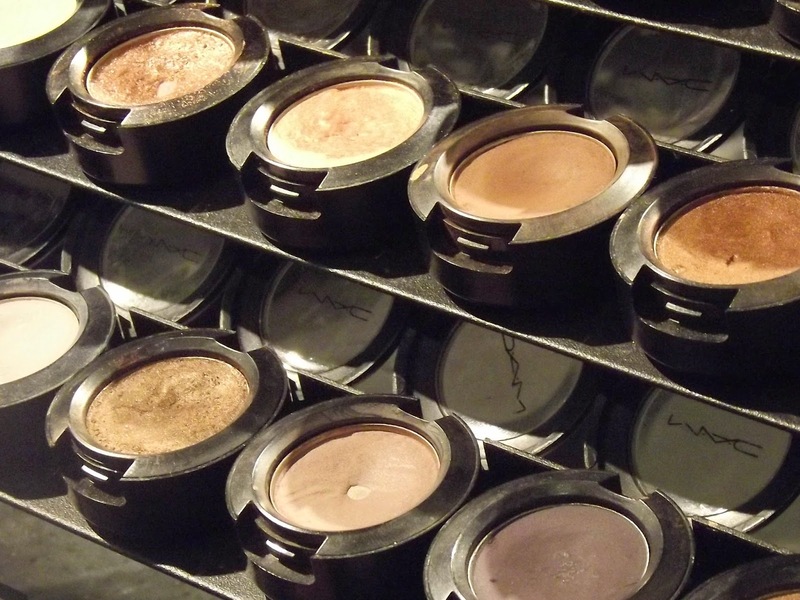 Makeup Revolution has taken the beauty world by storm this year; going from a small start up to having counters opening up in stores up and down the country. 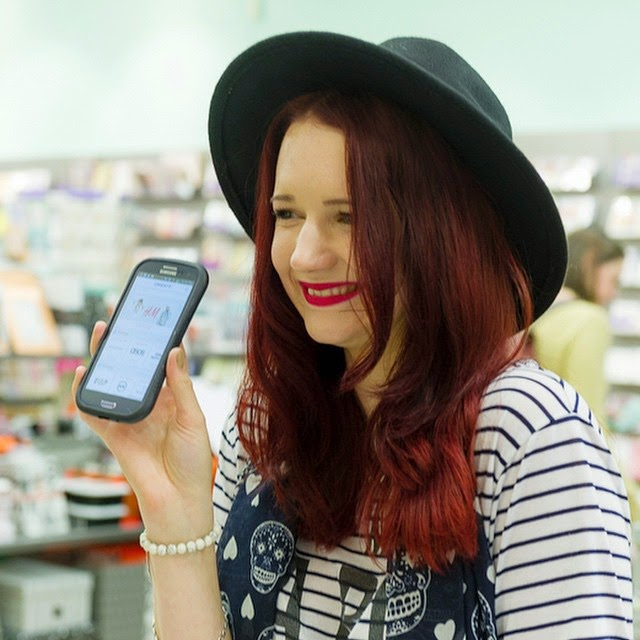 If you're looking for a blogger success story there's one right there. 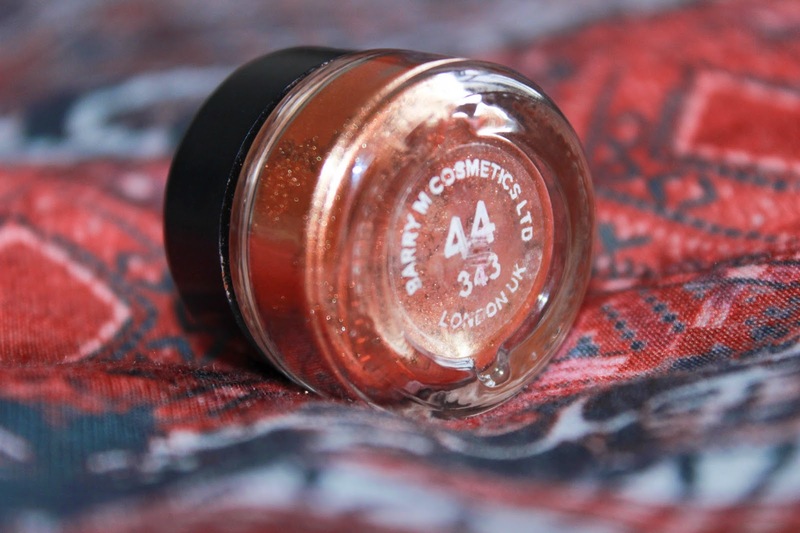 Needless to say their Pure Pigments are pure perfection - see what I did there? 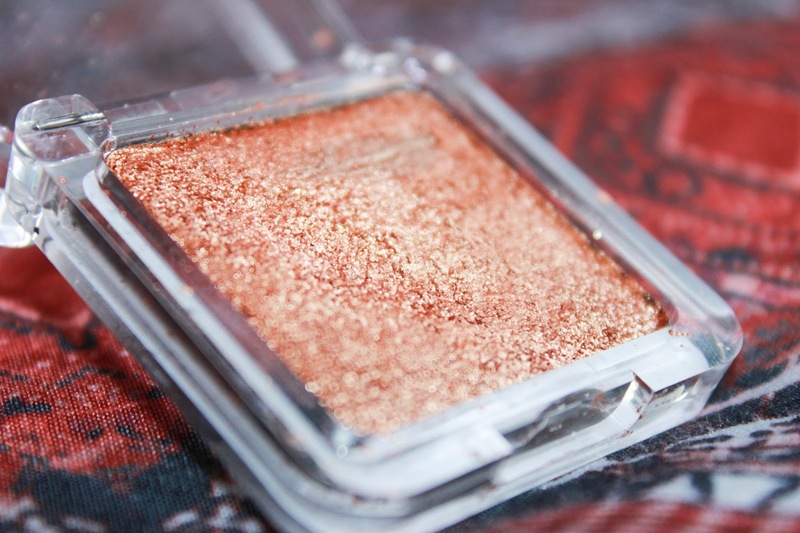 At only a pound they're packed with pigment and have a surprising amount of staying power in a huge range of shimmering shades. 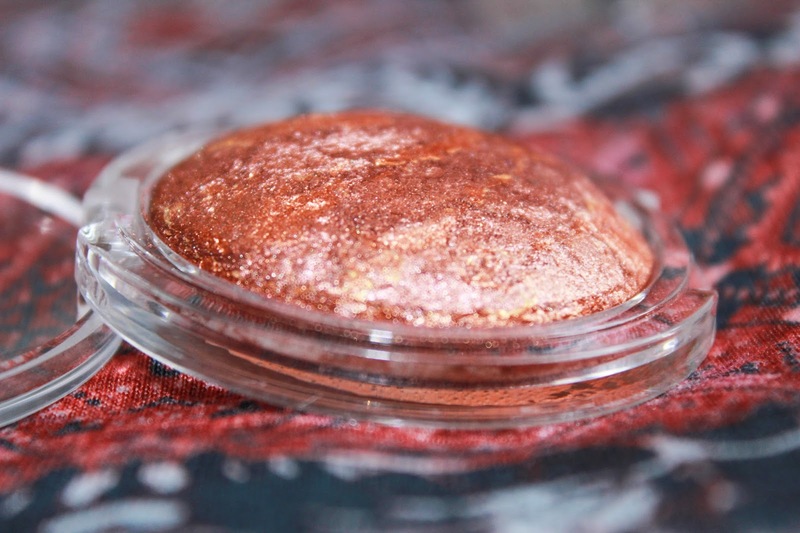 Though personally I tend to opt for pressed pigments as they're a lot less messy; I've gotten a lot of use out of Supreme to brighten the inner corner of my eye, Dynamic as an all over lid colour and Confront for a more romantic-style crease. Though I have shyed a little from the shade Grandeur - favouring the lighter shades for the summer - I'm sure it'll get it's use in the A/W for a much smokier eye. 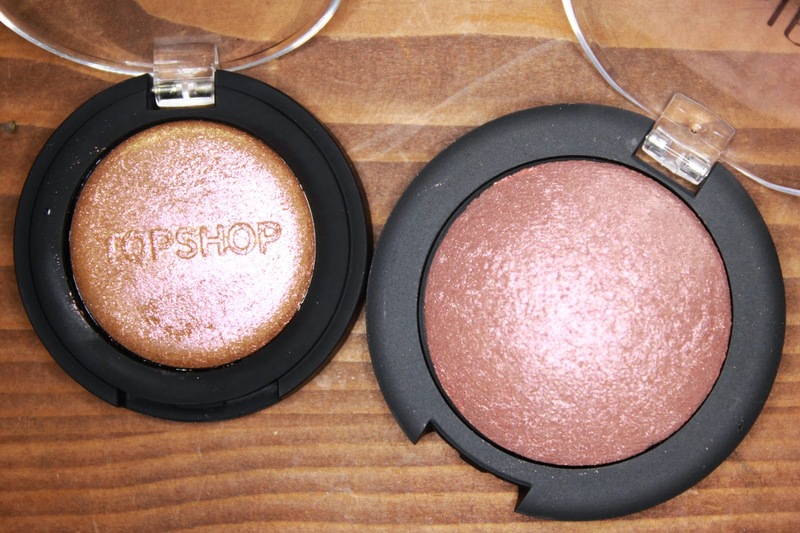 If you're looking for impact and shimmer with not a lot off fall out then these are for you. 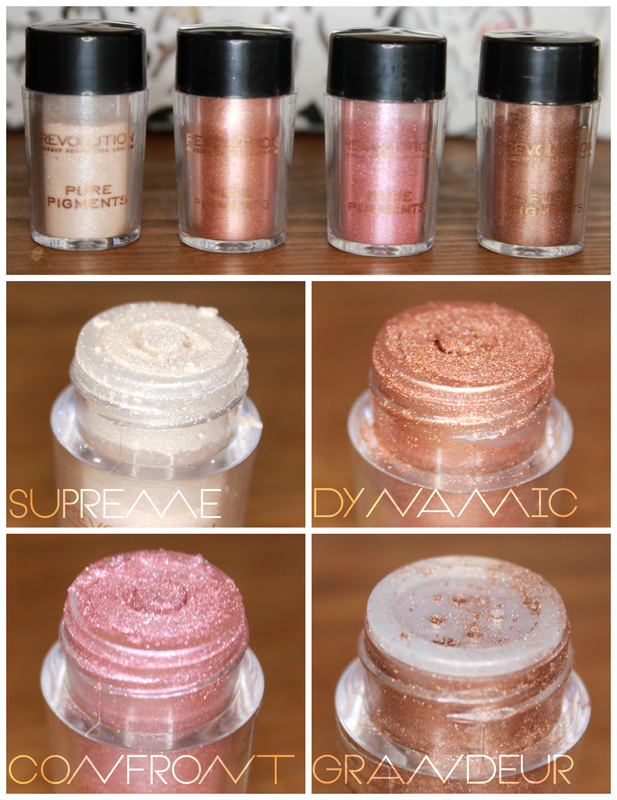 Have you tried any of the Makeup Revolution line? What's your favourite product? In today's post, I have three miracle masks for banishing three common skincare woes: acne, dry and dull/uneven skin. Here I've created your own personalised mask review depending on your skin type. Note: if you have combination skin you can always read the acne-prone and dry skin solutions as I use all three masks as part of my routine! Please leave your face mask recommendations in the comments below! QUICK FIX FACIALS ANTI-BLEMISH MUD MASK (£4.99) - I thought I might as well continue my skincare theme with some more acne-busting products because, apparently someone has yet to notify my skin that I'm beyond my dreaded teenage years! Whilst I'm waiting for that to happen, thankfully Quick Fix Facials has got my back. I think these little guys are a relatively new company, at least in the UK as it's only been this year that I have seen their products gracing the shelves of supermarkets and TKMaxx a like and now I hope they never leave! I'd highly recommend this line to teens with skincare issues as it's incredibly affordable and it actually works too! For £4.99 you get - what I would say is a minimum of - 10 facials though I feel like I've had more usage. Their Anti-Blemish Mud Mask is said to be a great Origins dupe and I can certainly see why, it's turned into a vital part of my weekly skincare routine that, upon removal, leaves your skin looking refreshed and soothed. It's not one of those face masks you have to use well before an event just to see the effects, you can use it and then just go about your day without it reddening or drying your skin. I cannot recommend this line enough! 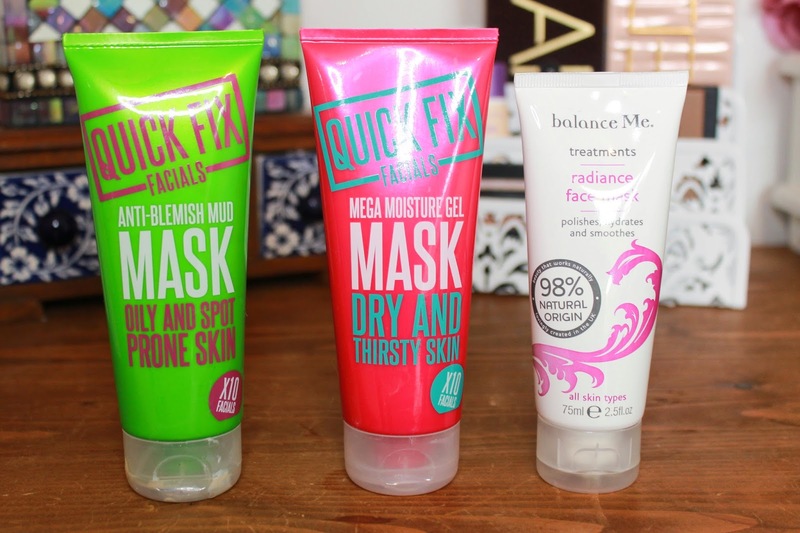 QUICK FIX FACIALS MEGA MOISTURE GEL MASK (£4.99) - If you've read my glowing review above, you'll know just how much I love the Quick Fix Facials line as they do exactly that for a fraction of the price of some skincare lines. Their Moisture Gel Mask is no different. I love how the gel formula is different from the classic green-mud-mask above. It's like they've really sat down and thought about tailoring their products to suit their use rather than just creating a typical all-in-one. Once applied you can literally feel your skin sucking up the moisture and your skin is left noticeably softer. It's such a nourishing experience I'd recommend even once in a while, even if you have with oily skin. BALANCE ME RADIANCE FACE MASK (£18.00)* - This mask is what can only be described as a skin texture perfector that's targeted at twentysomethings and above who can afford to be a little more extravagant with their skincare and don't have to worry so much about the blemish-prone skin of their teenage-hood. Once I have banished my acne and drenched my thirsty skin, I like to use this as a little treat in conjunction with the rest of my routine when my skin is feeling a little dull or I notice that the texture changed. The product tagline reads "polishes, hydrates and smoothes" and whilst I have little need for hydration thanks to Quick Fix Facials Mega Moisture Gel Mask, it certainly helps smooth and exfoliate my skin and my makeup always applies a little better the next day! Which mask do you think you'll try? 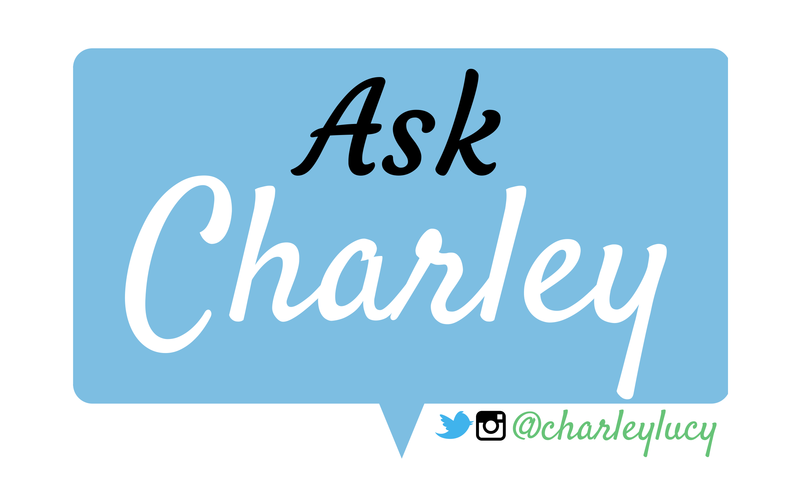 Ask Charley | Shiny New Series! 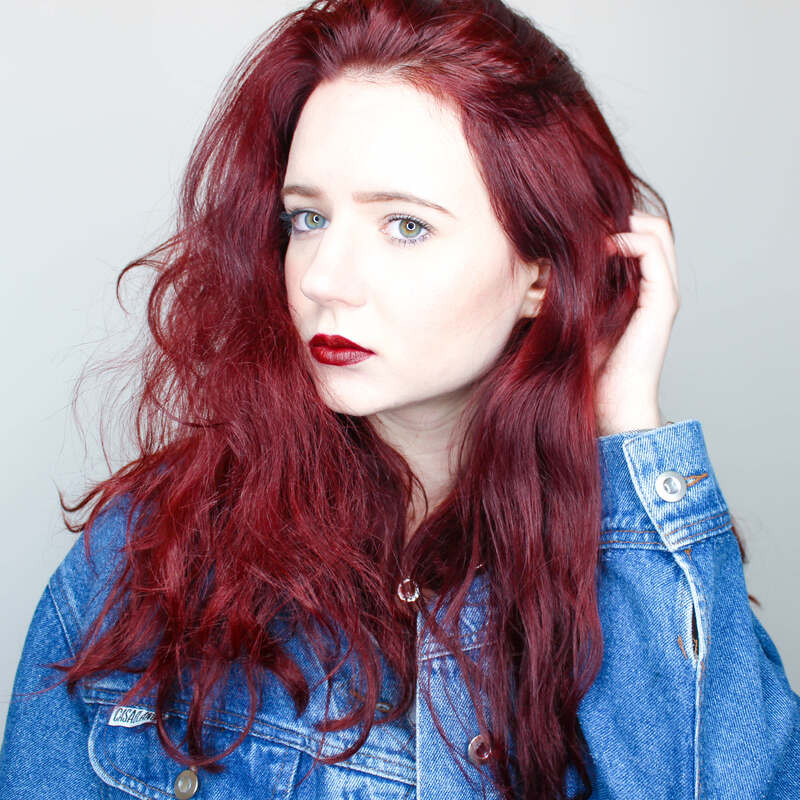 Today I'm announcing the start of a new blog series, ingeniously called called 'Ask Charley' in which I'll be discussing advice, topical issues, all things growing up and answering some of your questions over on twitter: @charleylucy via e-mail: charleylucy@live.com or using the handy contact form in the sidebar and on the Contact page - so get your questions in! 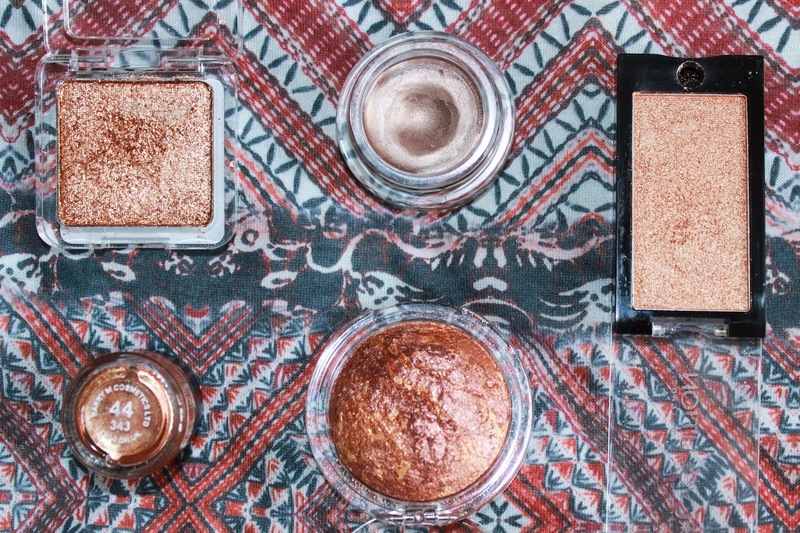 A selection of my favorite bronze/copper toned shadows and bases, as we start to transition into A/W. Whether you're giving your summer tan it's last hurrah or pairing these with leggings, boots and fluffy jumpers - these rich and shimmering hues have got you covered. 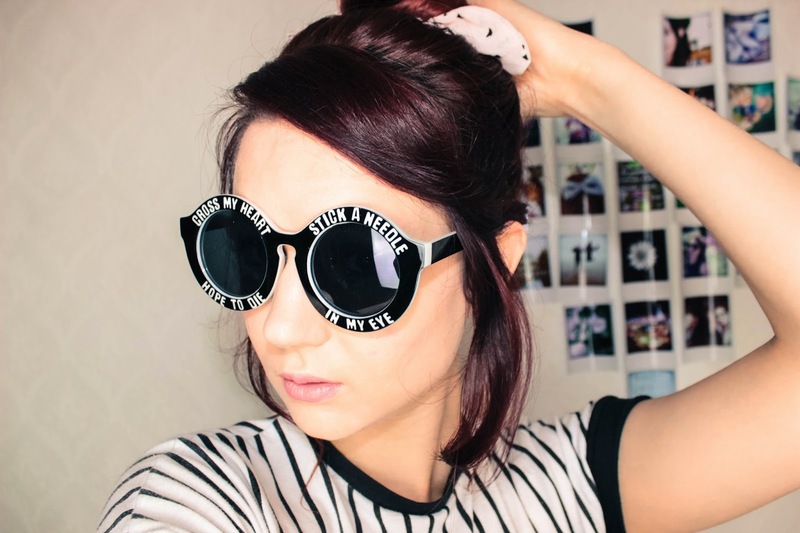 More often than not I write and edit in my pyjamas, I sometimes even take FOTDs in them too. 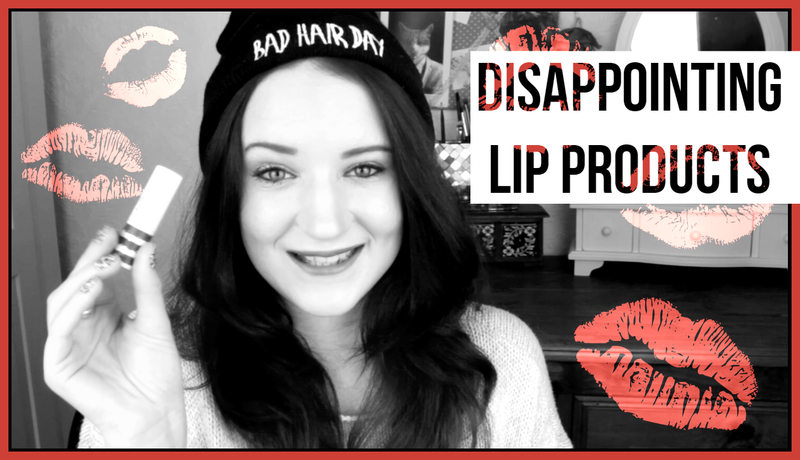 In fact, the only time I look somewhat presentable in the bloggerverse is when I film. If I could wake up every morning with perfectly styled red locks I would as I detest doing my hair, it's complicated and unruly and never goes right (I can't even French braid!) so mostly, I just embrace my natural waves. My mantlepiece is constantly a messy makeup jungle with all the new products I am trying out and some old favourites too, this is why I never use the right side of my bedroom for photos or filming. There is nothing I hate to blog about more than skincare because more often than not it breaks me out, or it might just be me breaking me out and then I have the joy of waiting for my skin to clear up all over again just to apply the product again and see whether I break out of not. My face sometimes feels like a human petri dish! I probably take 3-5 photos of the same scene before changing the angle, because I am just that much of a perfectionist. My poor laptop is crying under the weight of all those photos. I used to love my makeup when I was about seven and remember constantly raiding my Mum's hat box where she kept it all. I then persisted to hate the stuff for the next eight or so years a long with shopping, wearing dresses, skirts, frills, pink and just generally being a girl. If only my fifteen year old self could see me now! 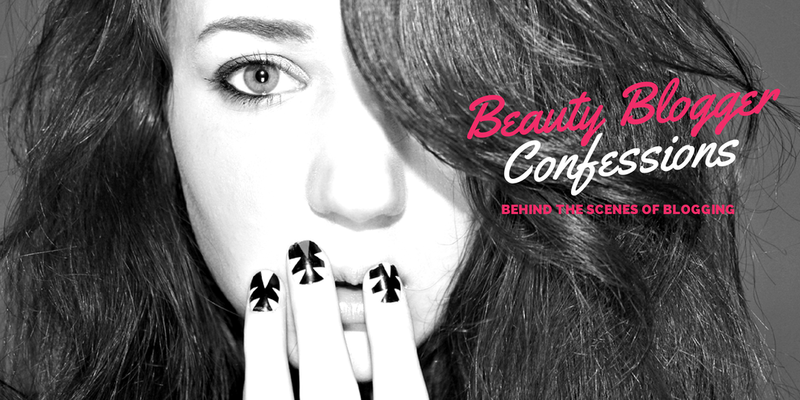 What are your beauty blogger confessions?